This beautifully designed app helps children learn to use deep breathing strategies to self calm. 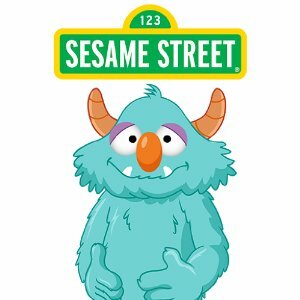 The app introduces a Sesame Street monster who faces real life scenarios such as having trouble tying his shoes or impatiently waiting in line. The narration uses a variety of words to describe the emotions and makes observations about the monster’s body language as well. The focus of the app is to teach the child to take three deep breaths, then think of multiple solutions to the problem at hand. The child chooses one of the options and the monster acts out the solution. The language is simple and the steps are repeated to help reinforce the lesson. The animation is high quality and visually engaging. We love that the monster comes up with more than one possible plan, however, one scenario involves asking a teacher for a hug, which may not be appropriate in a school setting. Overall though, this app is a powerful tool for teaching an important skill. The animations are clear and beautifully presented which keeps the kids visually engaged. Also, while the monster is “thinking”, the child gets to pop bubbles which helps keep their attention on the app. Although it is unlikely that your child will independently pick this app to play in their free time, with some guidance from you they can pick up a new skill to help them succeed in day to day activities. This is a great (free!) app to teach phone skills starting from the very basics how to hold a phone, dialing and hanging up, when to call 911, and safety when talking to strangers on the phone. There is a customized memory challenge where you can input your home phone number or any other number your child needs to memorize. Perhaps the best part of this app is the practice and challenge levels that actually walk your child through the steps involved in dialing a number and talking to someone at home or to a 911 operator. The buttons are large and easy to tap correctly and the sound effects are realistic. The app is narrated by a woman with a clear, friendly voice, and the script reads much like a social story. 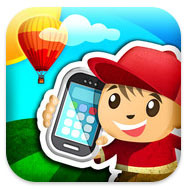 This is a great tool for children learning phone skills and phone safety. The narration is clear and the visuals are simple without being too childish. This is not an app that kids are going to beg to play, but once they start using it they tend to stay engaged.